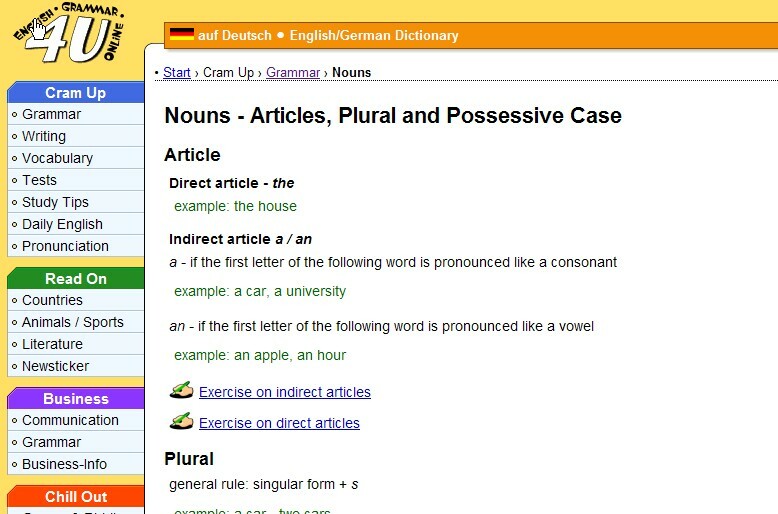 This page details the forms of articles and possessive words you should use with nouns. It also explains how to form the singular/plural of nouns. There are several exercises for you to practice your knowledge of these forms. The exercises will tell you if you got the answers right or wrong.